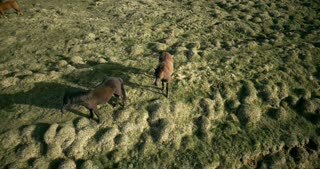 Aerial view of the beautiful landscape in Iceland. 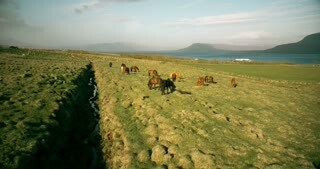 The herd of the horses grazing on the lava fields on the shore. 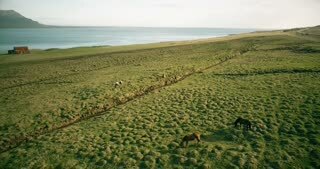 Aerial view of the herd of horses grazing on the lava field on the shore of the sea. 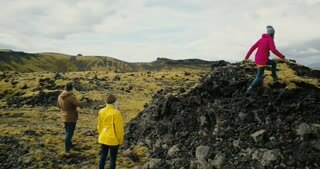 Beautiful view in Iceland. 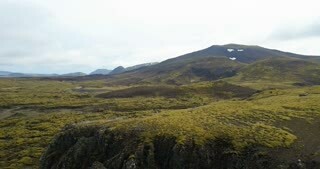 Aerial view of the green lava field with bumps covered moss. 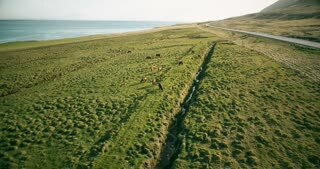 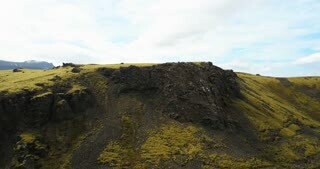 Drone flying over the mountains and cliffs in Iceland. 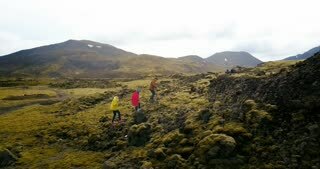 Aerial view of the two woman walking on the lava field in Iceland together. 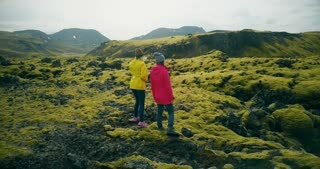 Tourists touches the moss bumps.